Home » How Much Will It Cost to Install a Fence in My Garden? A new fence can totally transform the appearance of your garden making it look well-maintained and providing additional privacy. Good, strong fencing also allows you to grow climbing plants to further improve the look of your garden. Moreover, broken and rickety fences look unattractive and can also be a security risk. So, if your fence is looking a little worse for wear, read on to find out the work involved and approximate costs of replacing it. So how much will it cost for a new fence in 2018? You should also factor in the cost of disposing your old fencing if you are doing the work yourself. Installation fees can vary depending on the extent of the work and the materials required but expect to pay around £40 – £50 per every panel of fencing required. There are many different types of fencing to choose from and your decision will be affected by your needs and your tastes. Wooden fencing is the most popular choice; however, you could choose other materials including metal or composite fencing. When choosing your fence there are several factors to consider including appearance, security, durability and ease of maintenance. Appearance – Your personal taste will affect your choice of fencing material. Many people choose wooden fencing as it provides a natural backdrop to the garden. 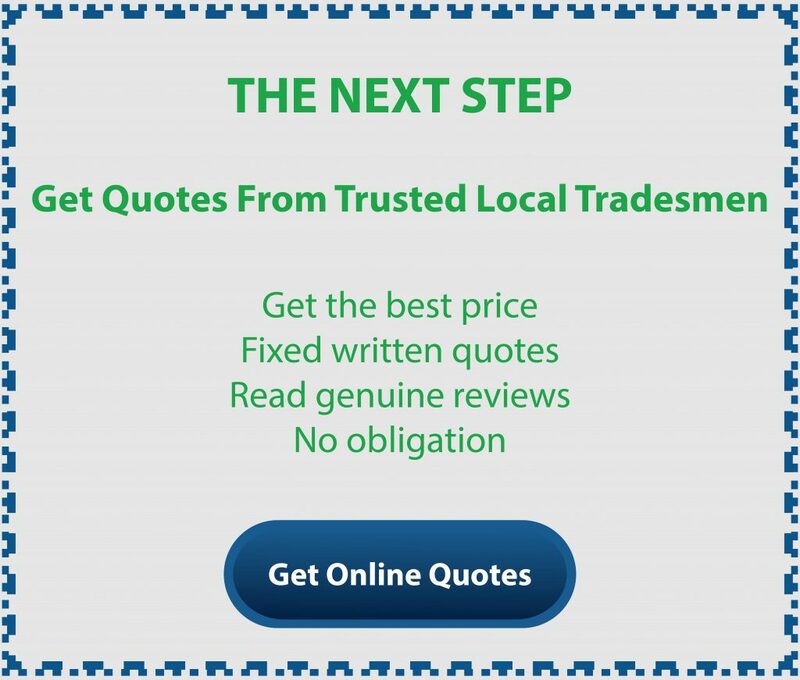 However, the choice is yours and you have many options ranging from wrought iron to steel. Front gardens look nice with low fences such as picket fencing or wrought iron. In the back garden, you may prefer a higher fence to offer greater privacy. Security – A strong garden fence provides you with more security than one that is broken or damaged. In addition, if you have children or pets then a secure fence will keep them safely within the garden. A sturdy fence will also prevent your neighbour’s pets from getting in. Durability – Different materials vary in their durability. While a more durable fence may be more expensive in the short term it will save money and hassle in the long run. Ease of maintenance – A well-maintained fence will last longer than one that is not cared for so its worth making sure you can easily replace any broken parts and redo finishes to help maintain the structure. Wood finishes are easy to stain or treat; however, some composite materials require no maintenance once installed. What you will need to assemble a fence? 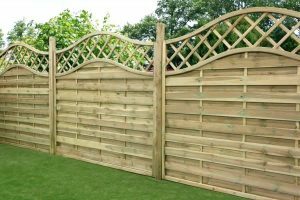 A standard back garden fence usually consists of posts, panels and gravel boards. In addition, there may be extras such as a trellis. Here is a list of all the individual parts you will need to install a fence…. Fence posts – These are usually wooden or concrete. This is the backbone of your fence, so it is worth using good materials. Concrete posts can allow for very easy replacement of panels, but some people prefer the look of wooden posts. Your posts can be concreted into the ground or fixed with metal ground spikes. Posts secured with concrete tend to provide the sturdiest support. One alternative to fence panels is to use feather edge boards attached directly to arris rails with a capping rail at the top. This is a very durable type of fencing, but it is more expensive than using panels. This would cost approximately £30 – £60 per metre. Gravel boards – These are installed below the fence panel at ground level. These can be made from concrete or wood. Trellis – This can be added to your fence for extra privacy and to allow plants to climb it more easily. Growing plants on a trellis also makes it easier to remove the plants in order to reapply finishes such as wood preservers or stains. Wood stain can be added to change the colour although remember the wood of your new fence will already have been treated to prevent rotting. You should also treat your fence regularly with a wood preserver to extend its life. Can I install a fence myself? Replacing a fence panel is a relatively easy job that anyone with basic DIY skills can manage. However, installing a new fence is quite a heavy and time-consuming job involving considerable digging and often pouring concrete, so you may prefer to get a professional to undertake this job. Having a new fence fitted will make a huge difference to the appearance of your garden, transforming it from shabby to chic in no time. It is also comforting to know that your garden is secure and safe for your children and pets.